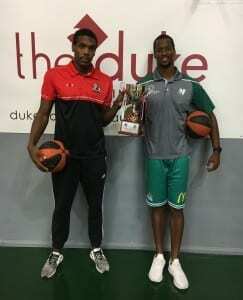 All roads lead to Newcastle Basketball Stadium on Saturday night when the Newcastle Hunters host Maitland Mustangs in the biggest game of the Waratah Basketball League season. 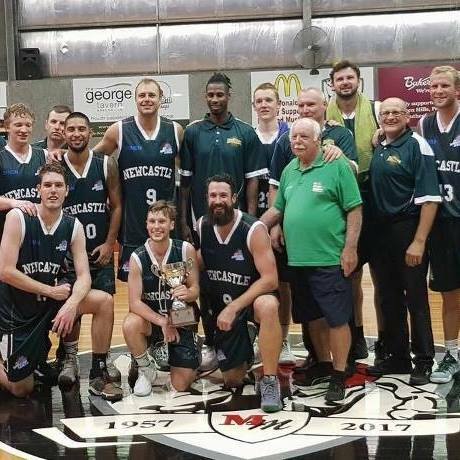 The Men’s game will be the first leg of the Kibble-Mallon Cup, a trophy struck in 2009 to acknowledge the contribution of Newcastle and Maitland basketball icons Denis Kibble and Tim Mallon and to recognise men’s basketball supremacy in the Hunter. Newcastle have held the trophy since 2015 and, as holders, only have to win one of the two home-and-away regular-season games to retain it. Maitland must win both games of the series to wrest the trophy from Newcastle’s grasp. Tickets for our $500 Half-Time Half-Court shot are $2 each. Pictured with the Kibble-Mallon Cup are Newcastle’s Lonnie Funderburke (right) and Maitland’s Isaiah Ellis. Newcastle’s Division One Men will play Springwood Scorchers at 1pm on Court 7.